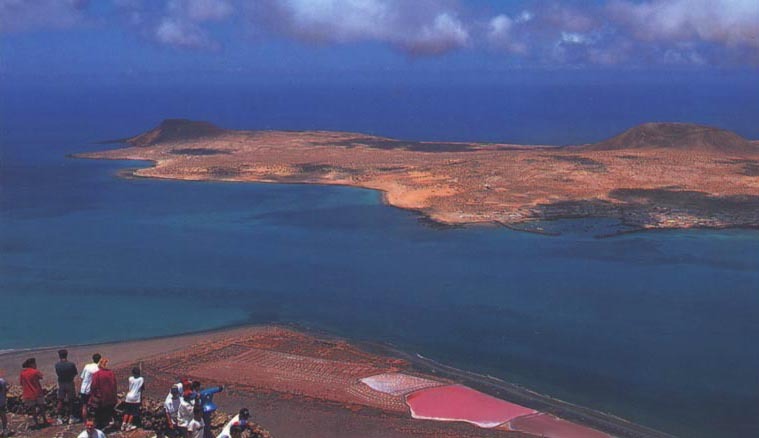 In 1987 Lanzarote was declared one of the six universal models of sustainable development by the World Tourism Organization and in 1993 it was declared a Reserve of the Biosphere by UNESCO. 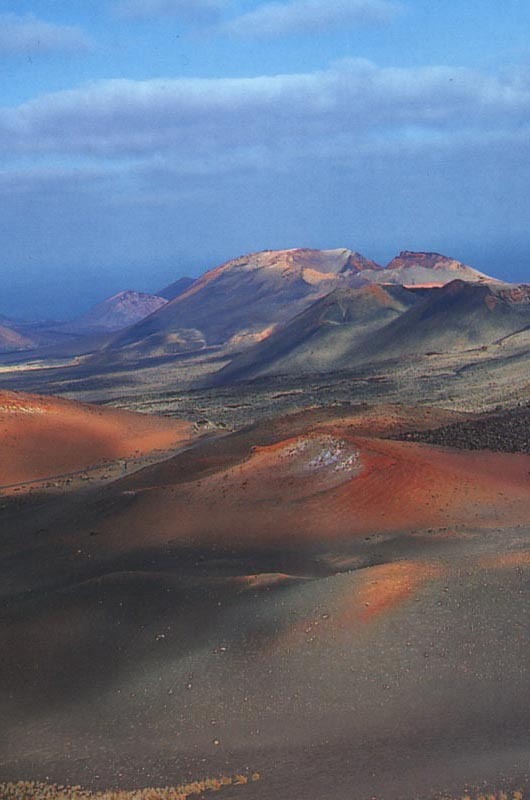 The Fire Mountains in the Timanfaya National Park are the best known attraction. 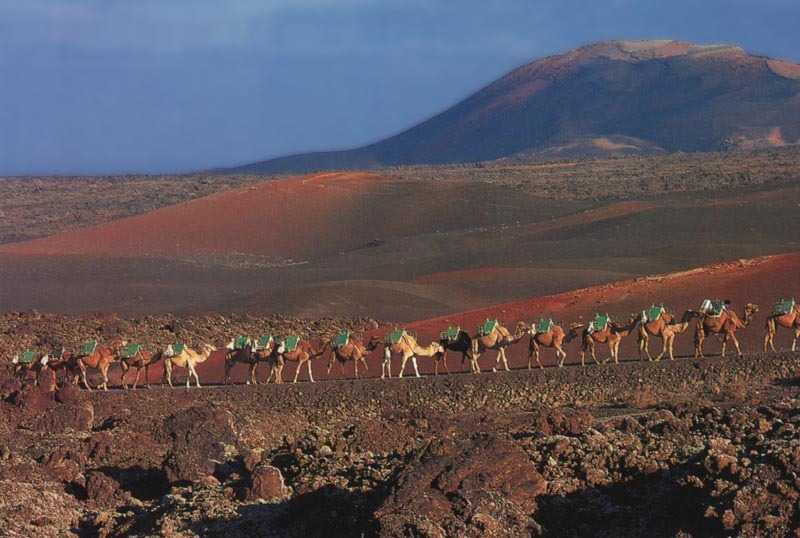 Take a camel ride over the lava crust or a bus to the top for an impressive view of the masses of lava and the volcano craters which last erupted in 1824. 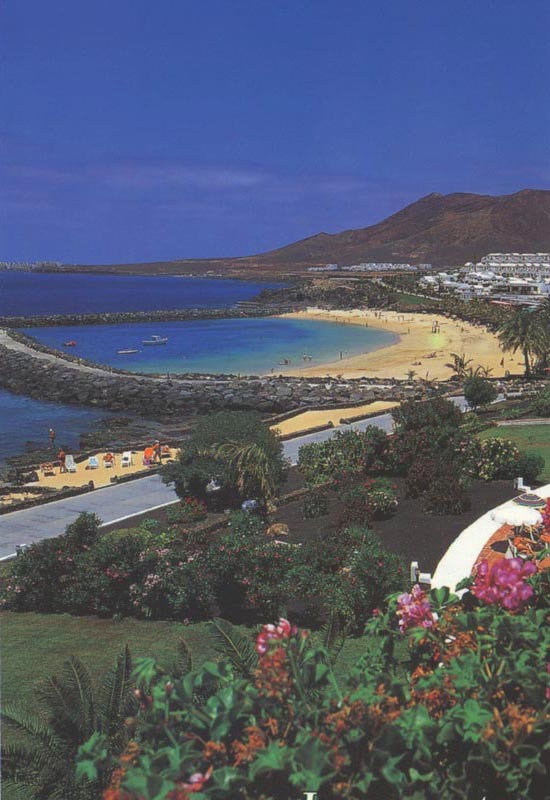 Puerto del Carmen is the biggest holiday resort on Lanzarote. 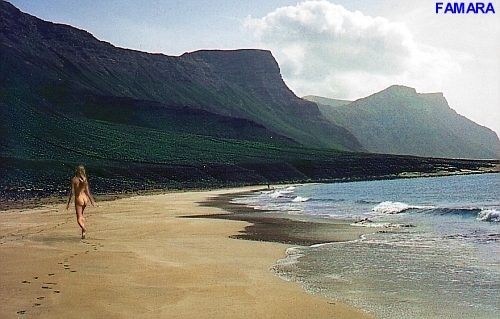 Originally a small fishing village, it now stretches for some three miles along the golden sandy beach. 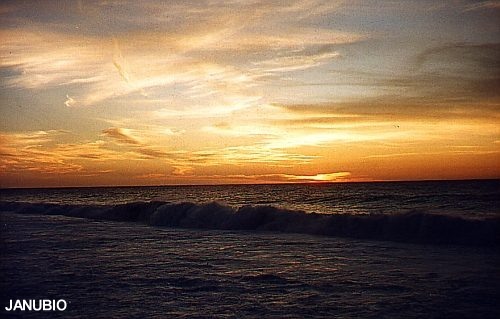 The island’s nightlife is centred here and, to a lesser extent at Costa Teguise. La Cueva de los Verdes is a system of unusual underground caves extending over four miles. 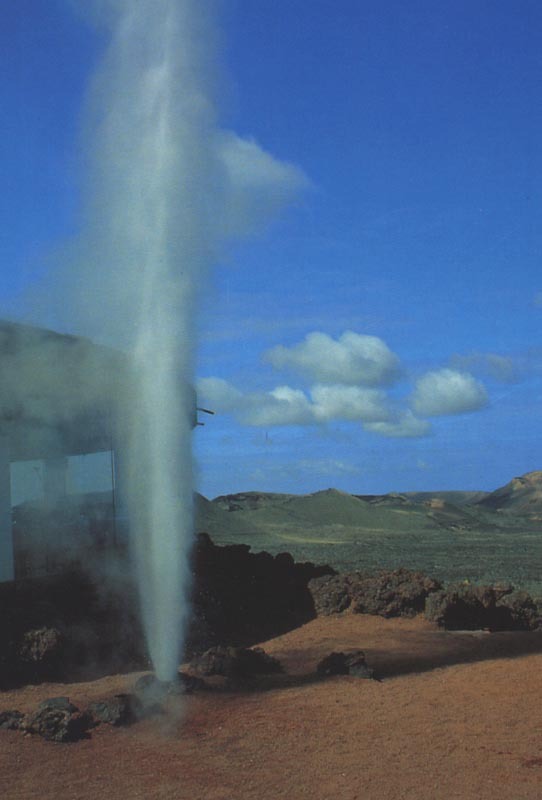 It was formed by flows of lava in the distant past. In the 15 C and 16 C the population used the caves as natural defence against heavy attacks by Berbers, Argelians, Mauritanians and Turks. An extension of the caves is the underground lagoon of Jameos del Agua which has been transformed into a restaurant, swimming pool and night-club complex. A lake at the bottom of the caves has unique blind, white crabs. 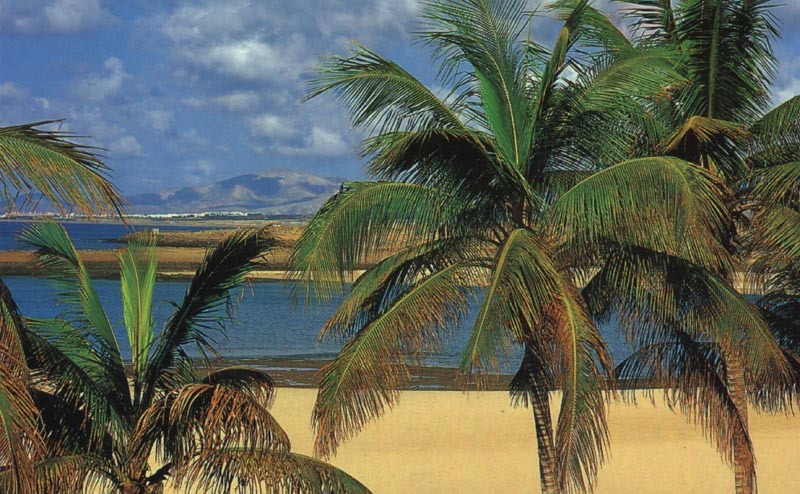 Teguise is the ancient capital of the island, a noble and quiet town where the best “timples” (musical instrument typical of the Canary islands) are made. On clear days, the neigh-bouring islands can be seen from its Tower of Homage. On sundays, there is a popular street market. 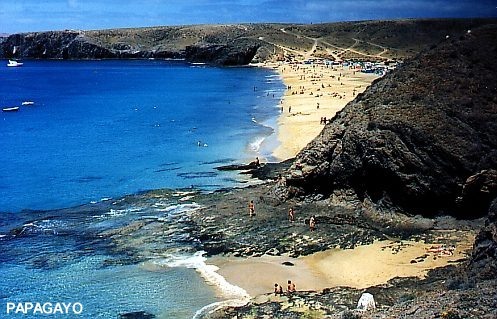 Arrecife is the capital of the island with approximately 42.000 inhabitants - half the population of Lanzarote ! 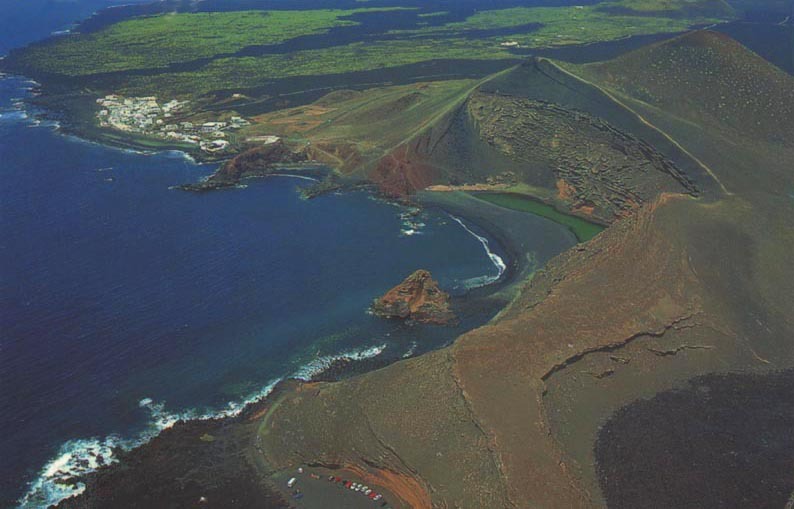 The harbour is home to the largest fishing fleet in the Canaries. The Castillo de San Jose at the entrance of the harbour was built in 1770 and is now used for international art exhibitions. The Castillo de San Gabriel dates back to he 16 C. situated on a small island and accessible over a short bridge, it is now the archeological museum.